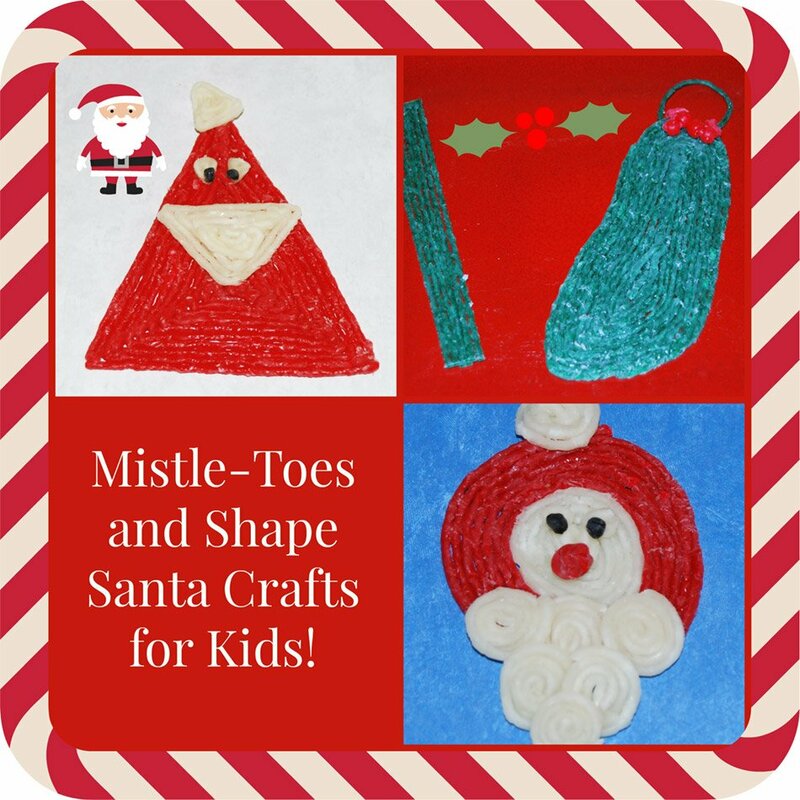 Mistle-Toes and Shape Santa Crafts for Kids! Crafting and creating with kids is one of the best ways to make special holiday memories together. The Mistle-Toes and Shape Santa Wikki Stix crafts make FUN holiday ornaments, but they are also wonderful crafts to help kids develop important skills. Gather the Wikki Stix and come build memories and skills that will last the whole year through! Wikki Stix Mistle-Toes Footprint Craft for Kids! Invite the kids to use a pencil and outline their footprint on a sheet of paper (assist younger children). The kids can then use green Wikki Stix to trace the penciled outline. Once the Wikki Stix footprint outline is finished, kids can fill-in the rest of the footprint by following inside of the initial outline until all white paper areas are covered. The kids can then gently lift the footprint from the paper template. To create the berries: String 2 red pony beads on one red Wikki Stix strand. Fold the red Wikki Stix in half so the pony beads stay at the center. Twist the top of the red Wikki Stix and press it behind the heel portion of footprint. Repeat with a separate red Wikki Stix strand to create total of 4 berries on the mistle-toe craft. 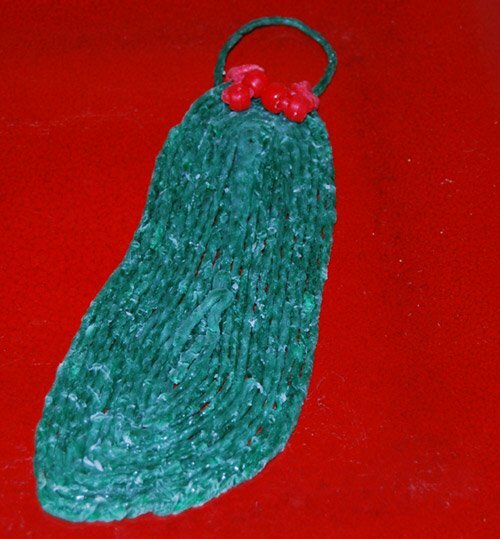 To create an ornament: Make a hanger with another Wikki Stix strand and press firmly behind the created footprint (see photo below). Wikki Stix Shape Santa Crafts for Kids! Invite your kids to create fun Santa crafts with a shapes challenge to encourage fine motor, problem solving, and critical thinking skills! 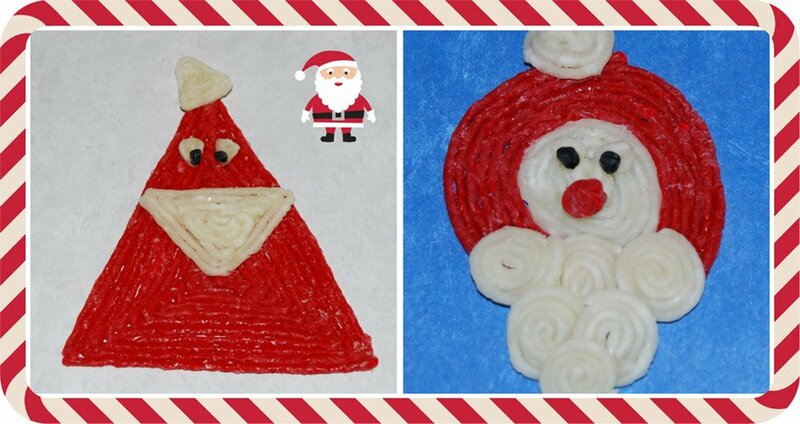 Crafting Challenge: What kind of Santa can kids create using just triangles or circles? There is no wrong or right way to create the Wikki Stix Santa crafts. Kids will experiment with their chosen shape to formulate their own ideas about the kind of Santa they want to make. The Santa crafts above were created by two 4th grade kids. 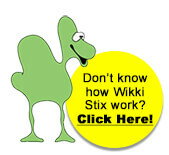 It’s fun to watch kids explore, play, and invent their own ideas about how to create with Wikki Stix. The Santa shapes crafts will not only help kids refine small motor skills, but they will challenge kids to use critical thinking and problem solving skills! Celebrate the holiday season by creating special memories with your own kids at home or in the classroom with the Wikki Stix Mistle-Toe and shape Santa crafts. The seasonal crafts are FUN to make, but they will also build important skills that kids can carry into the New Year!